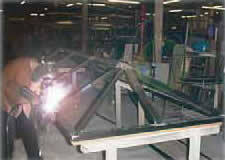 Dome'l Skylights - Domel, Inc.
Quality is the most essential characteristic found in all Dome’l skylight systems. 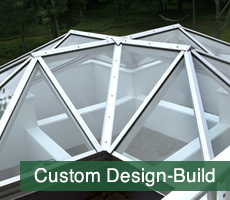 From comprehensive engineering analysis to handcrafted fabrication, every step is scrutinized to assure all skylights meet Dome’l’s strict standards for exceptional performance and unmatched aesthetic appeal. Customer Service at Dome’l means we are ready to assist you with a fully trained staff of professionals via toll-free phone, email 0r facsimile. 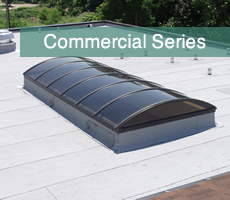 Each representative is equipped with extensive product knowledge of our skylight systems … and our competitors, too. Technical Support at Dome’l includes working directly with architects during design conception to providing structural engineering calculations and test reports. This impressive effort has helped contractors win contracts while satisfying the customer’s need for design, function and performance. Project Management begins at the time of order through the entire installation process. 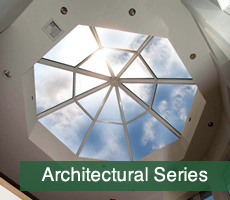 Dome’l provides a highly qualified team leader to guide your special skylight project through each phase. The project manager skillfully coordinates scheduling for production, shipping and installation (when applicable). Through critical path planning, the manager makes sure the project is completed on-budget and on time. 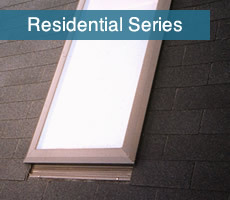 Installation is offered for structural skylight projects. Our networks of technical field representatives and/or professional installers review job site conditions and contribute to the initial planning process. 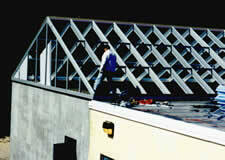 The installation process begins with precise field measurements and ends with a masterfully built skylight structure.